Leah Koenig is a writer and cookbook author whose work has appeared in the New York Times, the Wall Street Journal, Saveur, Gastronomica, Modern Farmer, Food Arts, CHOW, Every Day with Rachael Ray, Tablet, and The Jewish Daily Forward. Leah lives in Brooklyn, New York, with her husband Yoshie Fruchter, and leads cooking demonstrations around the country. Visit her website here. 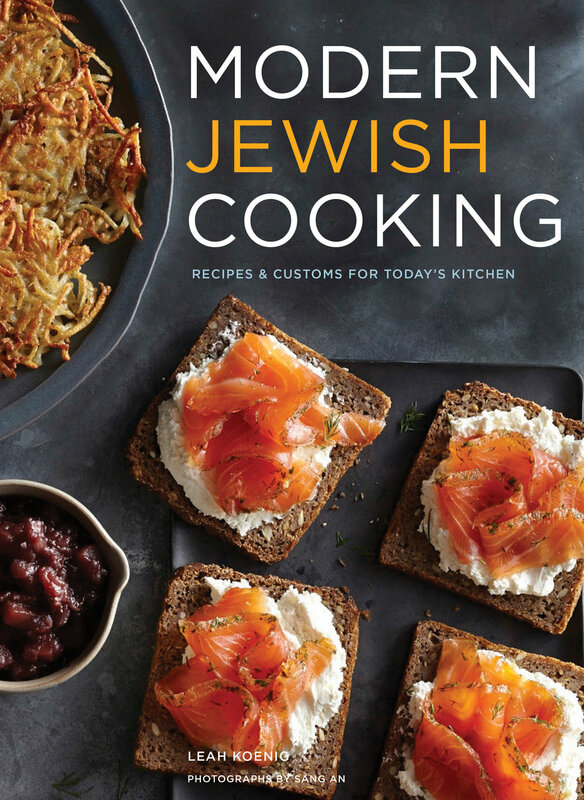 From a leading voice of the new generation of young Jewish Americans who are reworking the food of their forebears, this take on Jewish-American cuisine pays homage to tradition while reflecting the values of the modern-day food movement. In this cookbook, author Leah Koenig shares 175 recipes showcasing fresh, handmade, seasonal, vegetable-forward dishes. Classics of Jewish culinary culture—such as latkes, matzoh balls, challah, and hamantaschen—are updated with smart techniques, vibrant spices, and beautiful vegetables. Thoroughly approachable recipes for everything from soups to sweets go beyond the traditional, incorporating regional influences from North Africa to Central Europe. Featuring a chapter of holiday menus and rich color photography throughout, this stunning collection is at once a guide to establishing traditions and a celebration of the way we eat now.